The athletic programing offered by the Madeira Beach Recreation Department serves to create a safe, fun, and friendly atmosphere for children and adults alike. Our events, activities and organized sports programs are designed to build character, relationships, and improve quality of life throughout the community. Adult kickball is offered Thursday night's at the Madeira Beach Recreation Complex. Teams take part in an 8 game regular season and playoffs. Madeira Beach Youth Soccer offers children from Kindergarten through 8th grade, the opportunity to participate in a competitve and fun soccer league. Each season consists of 8 regular season games and playoffs. Madeira Beach Youth Baseball & Softball plays their home games at the Madeira Beach City Centre Complex Fields. A Chartered member of the Cal Ripken Babe Ruth Organization, the leage offers T-Ball, Baseball, and Softball. Click here for more information. Adult softball is offered Sunday and Monday night's at the Madeira Beach Recreation Complex. Teams take part in an 8 game regular season and playoffs. REGISTRATION NOW OPEN for the 2019 Spring Seasons. 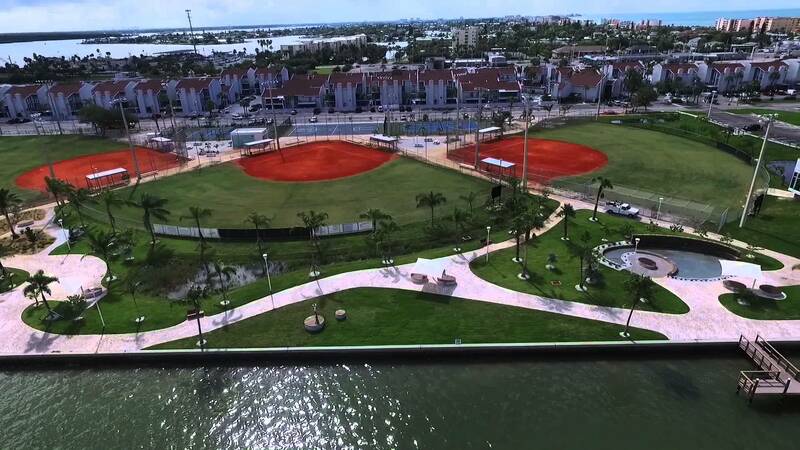 The City of Madeira Beach boasts a state-of-the-art recreation facility located on the Intracostal Waterway. Athletic amenities include 2 - 200 ft. softball fields, 1 - 200/300 ft. softball field, 2 tennis courts, and 1 outdoor basketball court. Additionally, sand volleyball courts are located at Archibald Park along Gulf Boulevard. For more information on the city athletic facilities, click here!